But as Abizadeh points out, the ground has begun to shift beneath Realists’ feet. It has already been demonstrated, he tells us, that the chief function of Hobbes’ sovereign is to provide an “authoritative mechanism for governing” not conflicting wants, desires and interests, but “moral language,” — which would locate the source of war even for Hobbes at the level of “ideology, culture and socialization,” rather than systemic-structural incentives or depraved human nature. And Abizadeh takes this a step further. War does not arise out of competition over material resources, or human ruthlessness or aggression, but out of disagreement itself. As Abizadeh puts it: ” disagreement leads to war because humans are inclined to view its expression as a sign of contempt: To be contradicted by others, especially by a supposed equal — and sometimes especially if the disagreement concerns a mere ‘egg-shell,’ as Hamlet puts it — is to suffer a blow to the glory and honor that humans typically desire.” What Abizadeh is telling us is that even for Hobbes (hitherto the arch-materialist and Realist) our troubles and the solutions to them — though no less real — are largely in our heads. The Leviathan therefore exists, first and foremost, to set our minds at ease: “to settle the meaning of the most controversial words implicated in social life, minimize public disagreement, neutralize glory, magnify the fear of death, and root out subversive doctrines,” rather than to beat into us, in any physical way, obedience and fear. In IR terms, this means that it is not anarchy itself that induces competition but the “vain-glorious” and, Abizadeh concedes, ineradicable desire for status, “a rival, positional good,” rather than material or physical gains of any kind. If the chief mechanism of the sovereignty covenant needed to prevent the inter-personal ‘war of all against all’ is no longer primarily a monopoly of violence — but instead largely ideological — it stands to reason (though Abizadeh does not argue this) that the Leviathan could take many forms and need not necessarily even be a state. 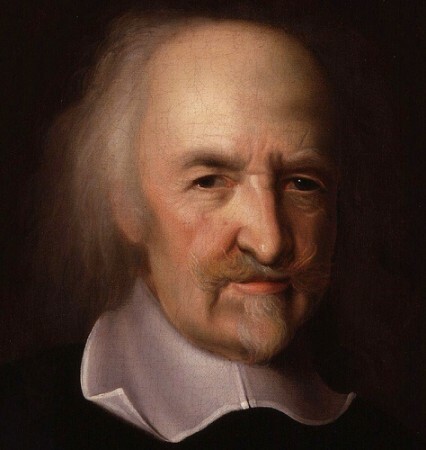 Though we have to be wary of analogies between the inter-personal state of the nature and the inter-national one, since Hobbes distinguishes between natural persons like you and me and the ‘artificial person’ of the Leviathan, it could be a game changer internationally as well.